…a common question Republic, Washington locals hear when asked from where they come from. 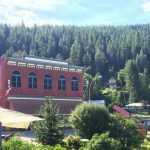 Originally named “Eureka” upon the discovery of placer gold in 1895 and the beginning of the gold rush, the town was later named Republic, after a prosperous, local gold mine. 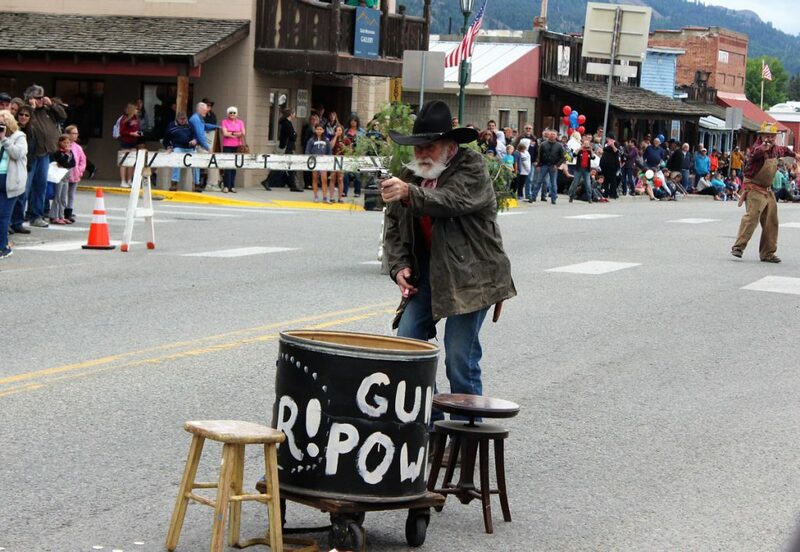 The “shootout” during Prospectors’ Days, celebrating our local history. Photo by Mary Masingale at the Ferry County View. 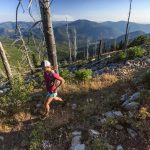 Republic is located in a remote part of the state – not too far from Spokane – but not “on the way” to anywhere but here! Only 7,000 residents live in the large county of Ferry, 1,000 of them here in the county seat – Republic. Overlooking Republic. Photo by Mary Masingale at the Ferry County View. Republic cannot offer you a fast food chain burger – but we have several great restaurants including one that serves its own homegrown, Longhorn burgers. (They raise Longhorn cattle on their ranch here). Republic cannot offer you a Walmart, Safeway or any other recognizable stores. We do offer two markets – that carry everything we need – and priced fairly. One of our stores has been run by the same family since its beginning over 100 years ago. Republic cannot offer you traffic lights – in fact there are none in the entire county. We do offer unlimited dark skies – with literally no light pollution from malls or street lights – to witness the universe in a way you have never experienced in the city. Perch on a pull-out on Sherman Pass in the nearby Kettle Range Mountains for a breathtaking view of the night skies – and the view is almost as good right in the heart of town. 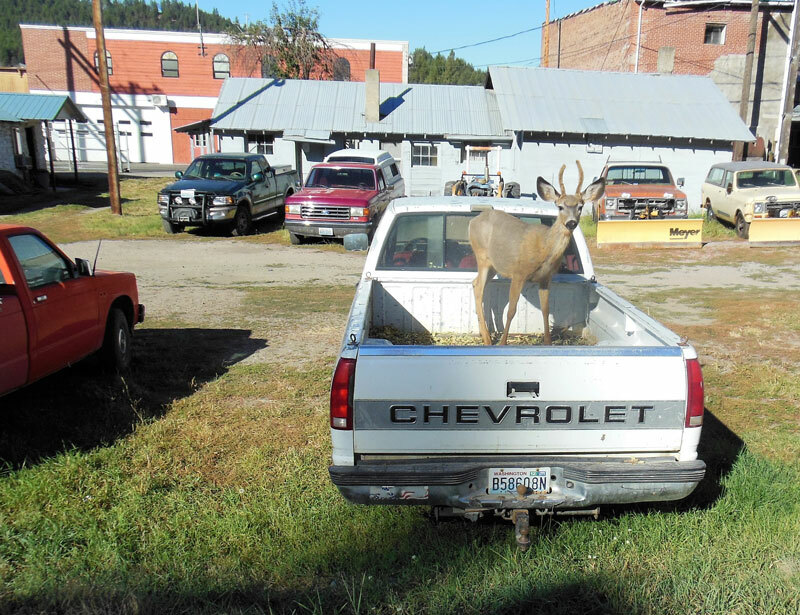 Not an uncommon site throughout town, although our town deer usually don’t hop in the back of a truck! Photo by Mary Masingale at the Ferry County View. Republic does not offer you movies theaters or water parks. 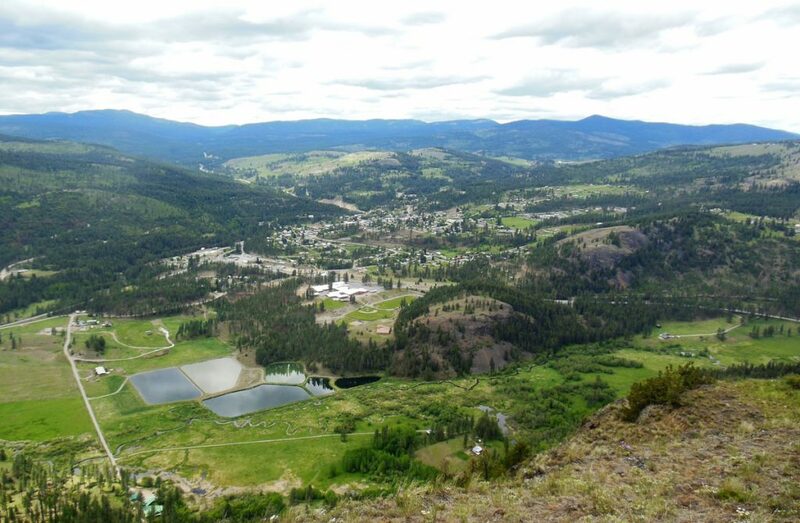 We do offer you some of the most pristine views from the neighboring Kettle Range Mountains. In fact, Republic is surrounded by mountains and streams and several very clean lakes suitable for fishing, camping and our big lake, Curlew has several resorts from which to swim, water ski, or whatever you like to do in the water. Lots of good fishing in Lake Curlew as well – including giant tiger muskies! The very scenic Ferry County Rail Trail runs along Curlew Lake before heading north to the Canadian border. Are fossils your thing? 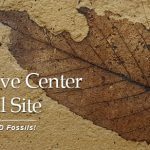 We have a world class fossil site right in the heart of downtown – Stonerose Interpretive Center and Eocene Fossil Site draws visitors worldwide. 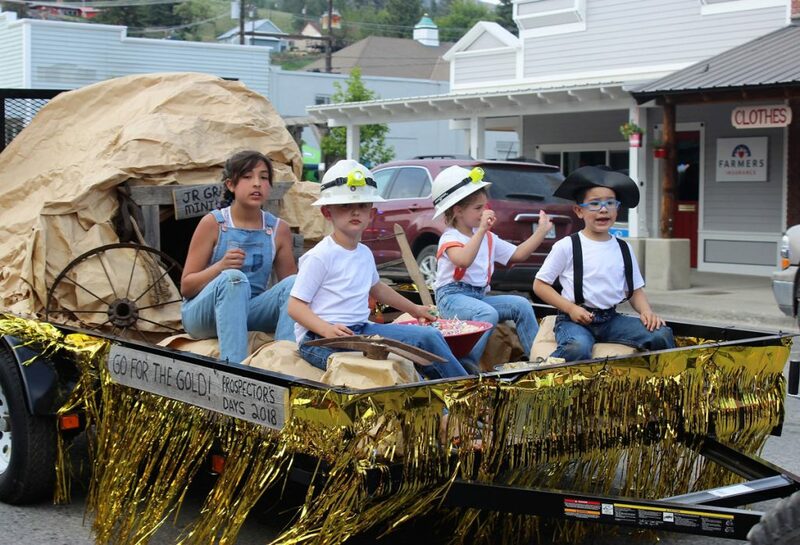 During the Prospectors’ Days parade, one of the cutest floats around. 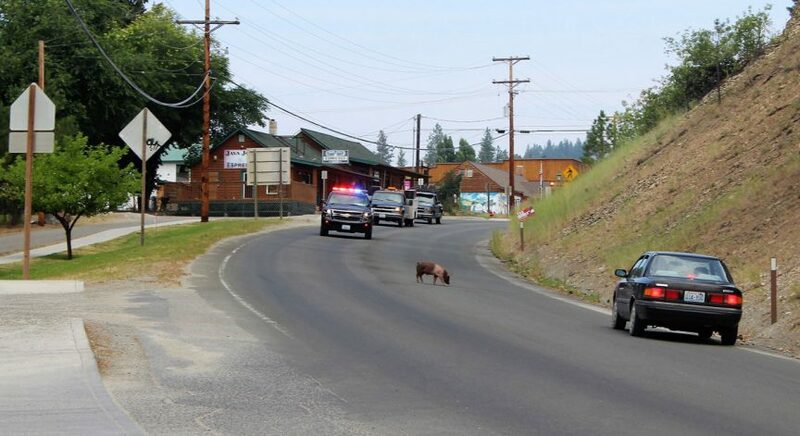 Photo by Mary Masingale at the Ferry County View. Republic was basically founded with the discovery of gold, and mining and logging have been a big part of our economy. With the closure of the Vaagen Brothers lumber mill, and the more recent closure of Kinross Gold, Republic found itself looking in a new direction. We are proud of our heritage but look forward to the future. Whether you like the snowy, winter scene or prefer the wonderful summer weather (never too hot! ), Republic is a secret paradise that we want to share. We hope that you will plan a visit – and see what our uniquely special little community has to offer. 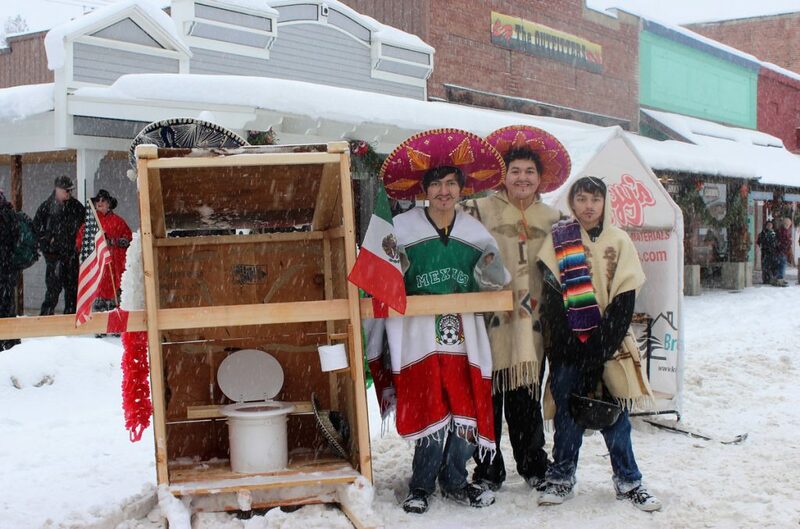 The Outhouse races during Winterfest. Photo by Mary Masingale at the Ferry County View. Article by Mary Masingale, a Republic local. 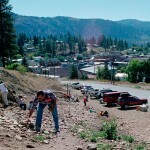 Images by Mary Masingale and the Ferry County View.